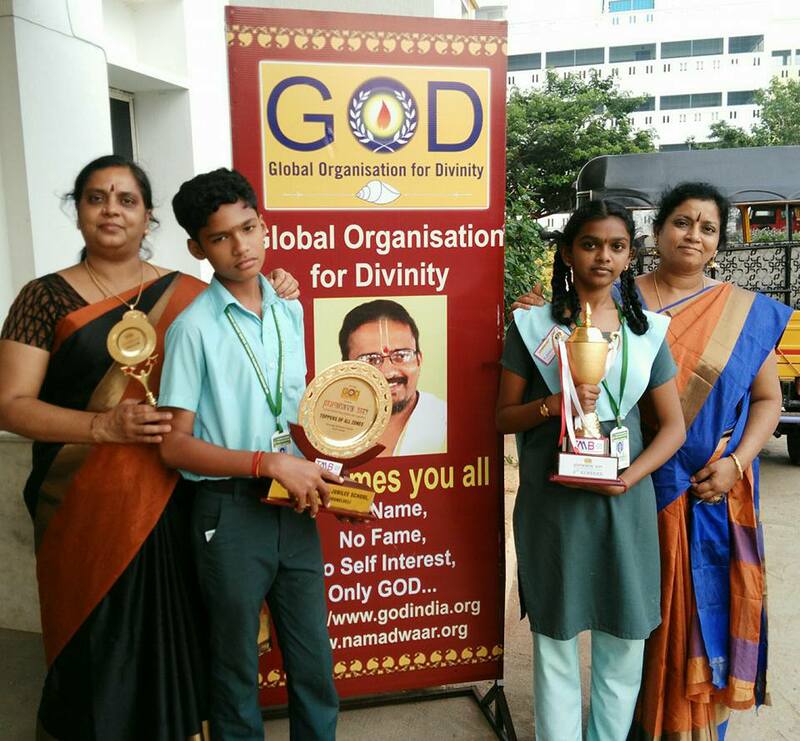 Every year the Global Organization for Divinity (GOD TRUST) conducts an Indian Heritage quiz – PURANAVA – for school students. From the inception of this quiz in 2012 Sri Jayendra has maintained a consistency of performance and always been in the top three in the Finals. The Preliminary Round at Zonal Level was conducted in August across 10 districts: 3000 students from 250 schools took part. 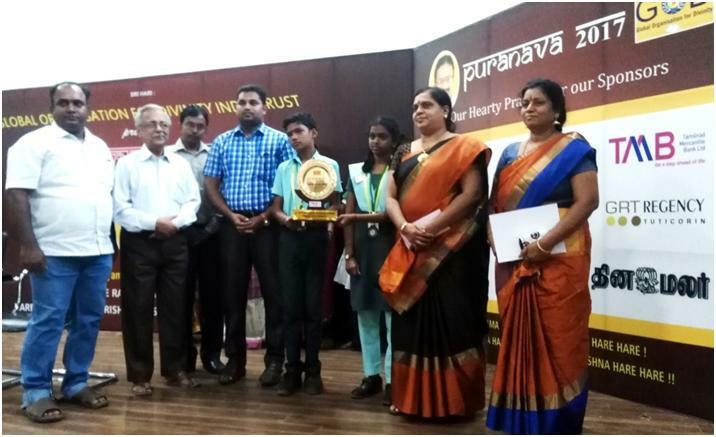 We are very proud that our student M.Nandha Balan of Class 9 scored the highest mark bringing laurels to our school. For the next two levels M.Nandha Balan and M.Darshini of class 9 paired up to compete in the semi finals against 25 teams. They came first thus reaching the finals where they managed third place. They were rewarded with medals, Silver coin and shields.